What if Toy Story was a Stephen King-written horror film? These fake movie posters show us exactly what that might look like. Plus, the only place another The Fast & The Furious movies could really take us. 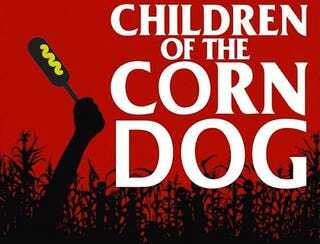 And best of all, the highly underrated imaginary horror classic: Children Of The Corndog. You all mocked up several excellent additions to the movie theaters of our minds, showing us both new spins on familiar movies as well as some brand new additions. Here are our very favorites, coming to a theater near absolutely no one at all.